HostGator vs Bluehost - Which Offers the Best WordPress Hosting (2019)? Bluehost and HostGator are two of the biggest names in WordPress hosting, so if you’re looking for the best way to get a website online with minimum expense it’s likely both will be on your shortlist. But which one is best? Bluehost and HostGator may technically be owned by the same company (more on this later), but there are a number of things you should take into consideration when deciding which one is right for you. By comparing their features, reliability and performance — using actual real-life test data from popular WordPress theme Divi, by Elegant Themes — we’ll hopefully give you all of the information you’ll need to make an informed decision on which one is right for your site. In this comparison, we’ll be testing one of the all-purpose shared hosting plans from Bluehost, alongside one of the HostGator WordPress optimized shared hosting plans. With both plans available for the same price, this Bluehost vs HostGator comparison will not only help you decide which to trust with your website, but also whether general purpose shared hosting or a service optimized for WordPress is the best option for your project. Bluehost — Shared Plus: From $5.95 a month (regular price $10.99 a month). HostGator — WordPress Starter: From $5.95 a month (regular price $14.95 a month). Choosing to pay monthly means you’ll be charged the regular price, while if you sign up for longer periods you’ll receive a discount with both HostGator and Bluehost. As mentioned earlier, Bluehost and HostGator are two of the most well-known web hosts in operation, and, as of 2015, were both in the top 20 largest web hosting companies in the world. Therefore, regardless of which one you choose, you’ll be hosting your website with a highly established company. In fact, both HostGator and Bluehost are now owned by the same company, Endurance International Group (EIG). Not only do EIG own and operate Bluehost and HostGator, but they’ve also bought many other web hosting companies, and, as of 2015, they reportedly had an absolutely whopping 4.2 million users. Bluehost was founded in 2003 in Utah, USA where its headquarters are still located. It was acquired by EIG in 2010 for an undisclosed sum. HostGator was founded in Florida, USA in 2002, although it’s since moved its headquarters to Texas, USA. HostGator was acquired by EIG in 2012 for $225 million. Along with other EIG-owned hosts, both companies suffered notable service outages in 2013 — however, nothing on the same scale has been reported since. 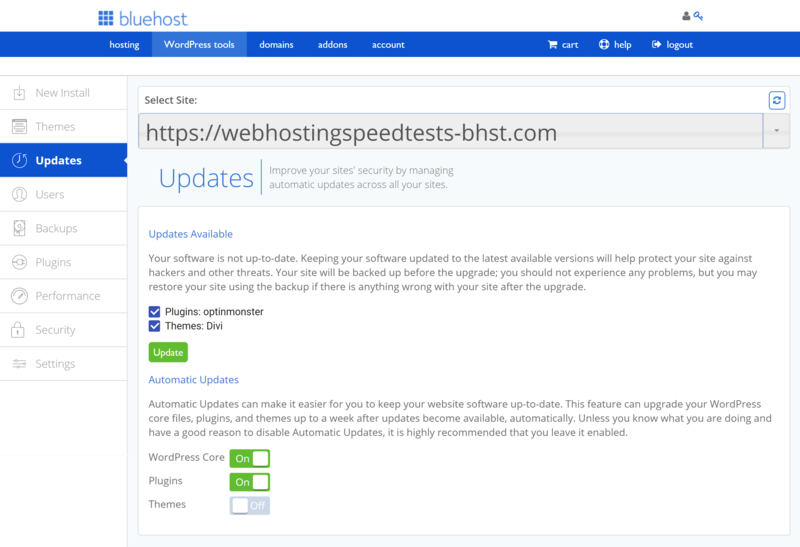 Bluehost Shared Plus: Host unlimited websites with unmetered storage and bandwidth. HostGator WordPress Starter: Host one website with unmetered storage and monthly average site traffic of 100,000 visits. On paper, at least, it looks as though Bluehost offers the most competitive service for the price. However, as we’ll soon see, there’s more to choosing a web host than bandwidth and website allowances. 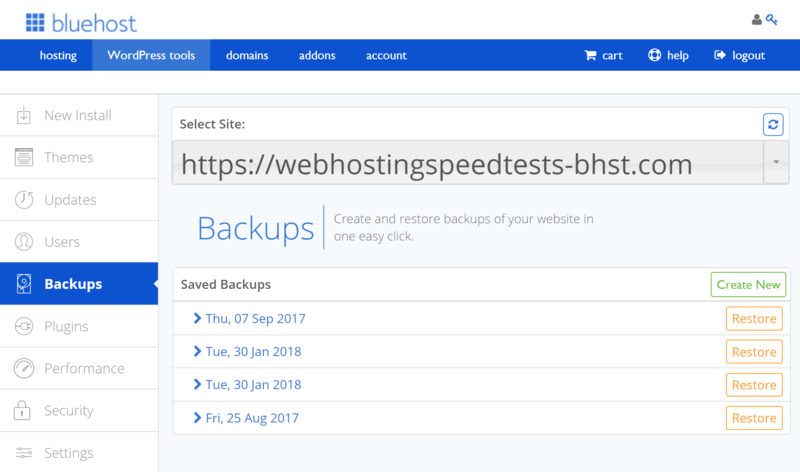 HostGator includes automatic WordPress website backups, while Bluehost features a one-click backup tool. 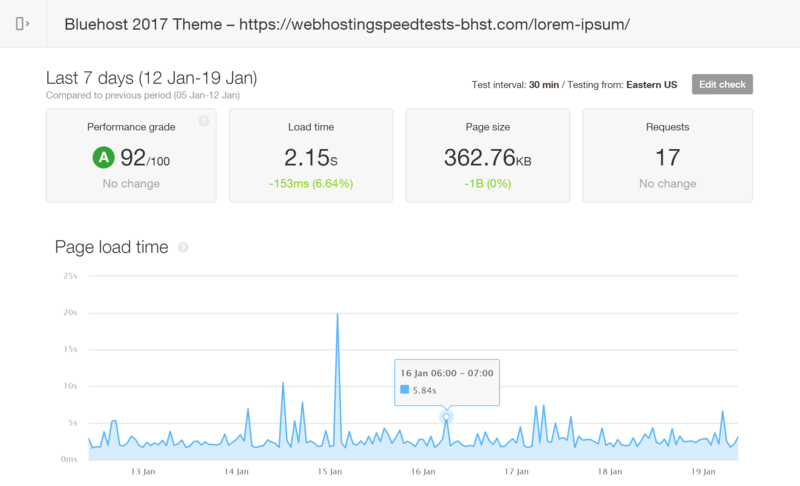 Before we get to the speed and performance test results, let’s look at some of the best features of the two hosting plans from HostGator and Bluehost. Although the two hosting plans in this comparison are towards the entry-level end of the spectrum, it’s worth pointing out that the HostGator plan is aimed specifically at WordPress users, and therefore has some nice additional features this demographic should appreciate. However, this also means you’re a bit more limited in what you can do with your hosting account. With HostGator, WordPress websites are backed up every 24 hours using the CodeGuard service. One of those useful features is automated WordPress website backups via CodeGuard. As part of this service, HostGator customers get 1GB of website backup storage, with the option to keep backup files for as long as they wish while space remains. 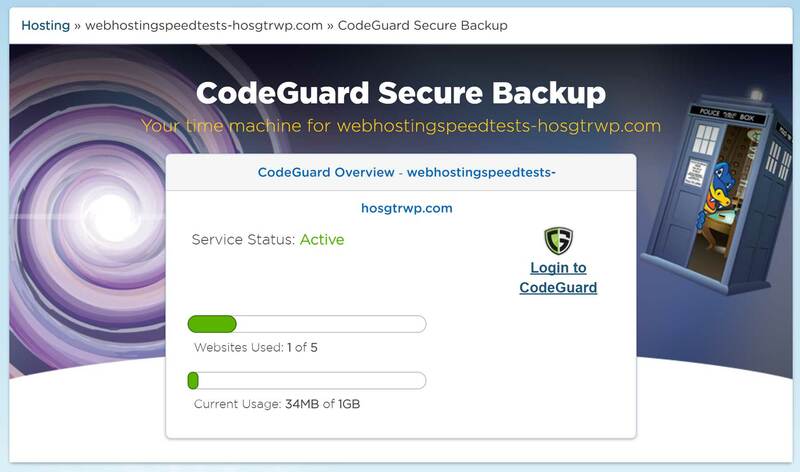 The HostGator CodeGuard backup tool makes it easy to choose how long to retain backup files for. Bluehost customers on the entry-level Shared Basic plan will have to take care of site backups themselves. However, the Bluehost control panel makes it very easy to create a website backup, with just one click required. The entry-level Bluehost Shared Basic plan doesn’t include automated backups, but has an easy-to-use tool. If this feature is important to you, the more expensive Bluehost Shared Prime hosting plan does include the SiteBackup Pro tool, which enables automatic WordPress website backups. There are also some excellent third-party WordPress backup solutions out there that can add this feature to your site. Being able to contact your web host is vital, so it’s good to see that both Bluehost and HostGator offer 24/7 live chat and telephone support. During testing, both web hosts offered a responsive and knowledgeable live chat service. However, if email is your preferred method of contacting support, neither service offers technical support via email ticketing anymore. Website caching: Bluehost uses its own proprietary caching technology to increase the speed of your website, while HostGator recommends and auto-installs the popular WP Super Cache WordPress plugin. Content Delivery Network (CDN): Bluehost supports and recommends the free Cloudflare CDN service while HostGator lets you use any CDN service. PHP: Bluehost offers easy switching between PHP 5.6, 7, and Edge versions, while with HostGator you’ll need to contact support to switch between PHP versions 5.6. and 7.1. HTTP/2.0: Bluehost uses HTTP/2.0; HostGator doesn’t. SSL: Bluehost plans include a free SSL certificate, while with HostGator it’s an optional paid extra. Server technology: Bluehost and HostGator servers run Apache. SFTP: Bluehost and HostGator offer secure FTP access to your web space for uploading and editing files. 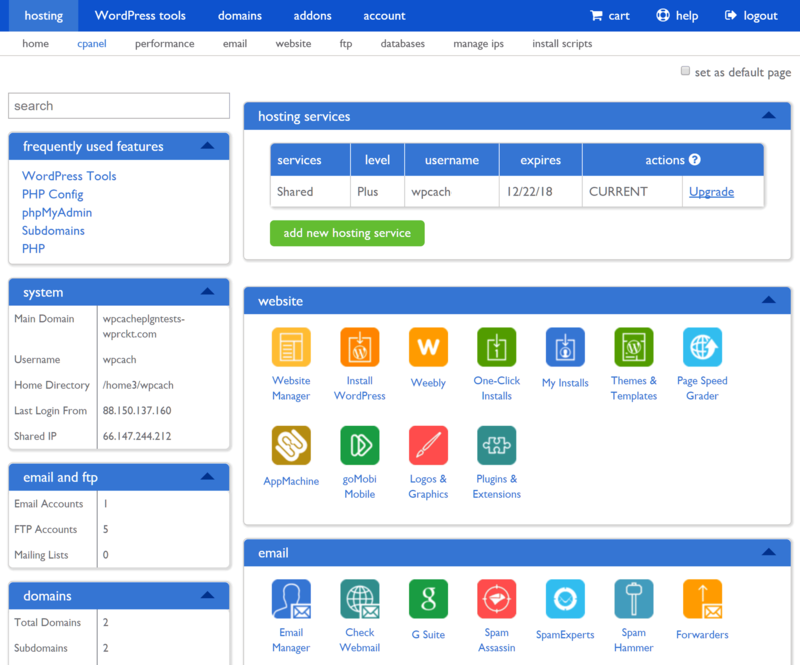 Server file manager: Bluehost lets you access your web space via a file manager with a graphical user interface; HostGator doesn’t allow this for customers on the WordPress plans. Database access: Bluehost lets you access your website databases through phpMyAdmin, whereas the HostGator WordPress Starter plan doesn’t include any database access. Email service: Bluehost and HostGator offer a full email service as part of these plans. 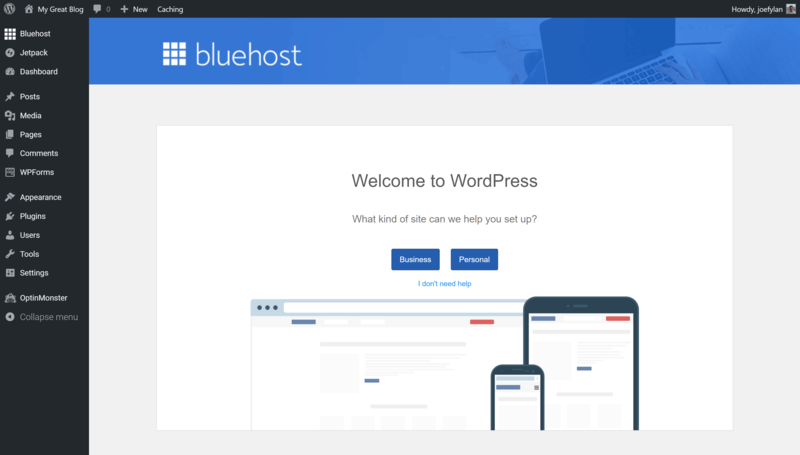 WordPress website management: Bluehost gives you the option of enabling automatic WordPress core, plugins, and/or theme updates, while HostGator automatically updates the WordPress core, plugins, and themes with no option to opt out. Plugin restrictions: Bluehost allows all WordPress plugins, while HostGator has a list of disallowed plugins for customers on the WordPress packages. Security measures: HostGator is protected from DDoS attacks (UDP flood) and malware, and its plan includes the SiteLock security service, while Bluehost doesn’t carry out malware and DDoS scanning checks as standard, but offers the SiteLock security service as an optional paid upgrade. Post-hack cleanup services: Bluehost will provide a list of hacked files for you to deal with, while the HostGator WordPress plan includes automatic malware removal. Data center locations: Bluehost has data centers in Utah (USA) and HostGator has centers in Utah and Texas (USA). Staging sites: HostGator doesn’t offer a staging site service, while Bluehost has a feature-rich staging site tool. WordPress website migration: While HostGator offers a free WordPress website migration service, Bluehost has a $149 paid migration service, but does support WordPress migration plugins to help you move to a new web host. Hopefully, that has answered the rest of your questions about the HostGator and Bluehost plans. Now, let’s find out which is the most reliable and fastest web host in our uptime and page speed comparison. For every second your website is offline and unavailable, you could be missing out on sales, clients, or an opportunity to grow your audience. Just like a shop that’s closed without warning during its scheduled opening hours, a website suffering from downtime won’t make a good impression on visitors, and is unlikely to win over any new arrivals. 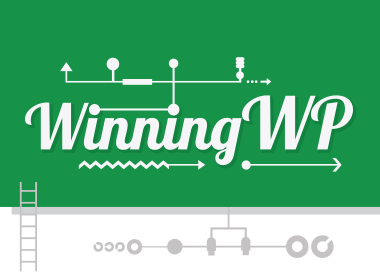 With this in mind, it’s vital you choose a host with a strong focus on delivering high levels of uptime and a proven ability to minimize downtime. Some kind of refund or uptime guarantee can be nice too. Both Bluehost and HostGator aim to keep your website online as much as possible, but only HostGator offers an uptime guarantee. Unlike with Bluehost, if your website on a HostGator shared server experiences less than 99.9% uptime, you may receive one month of credit. While this is good, no downtime is preferred to a refund. So how do Bluehost and HostGator compare when it comes to uptime and page speed? 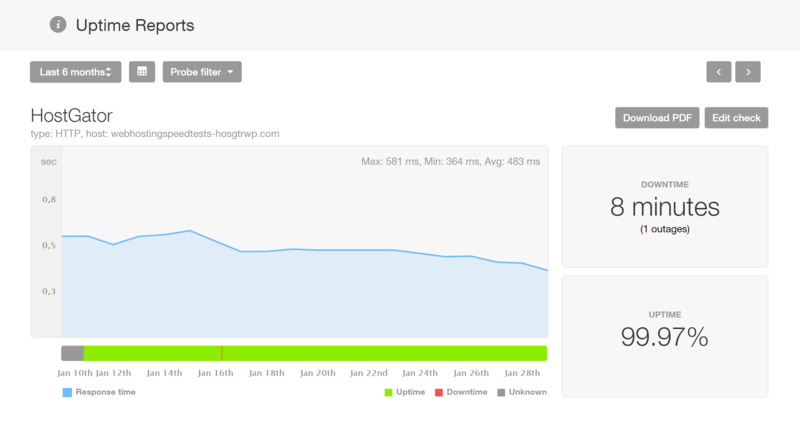 In our two weeks of monitoring with Pingdom, both Bluehost and HostGator managed to deliver 99.9% uptime. However, the website on the Bluehost servers experienced more than twice as many minutes offline. A comparison of the downtime experienced by Bluehost and HostGator during our testing. As you can see from our tests, even 99.9% uptime allows for a few separate instances and a number of minutes of downtime over a relatively short period of 18 days. 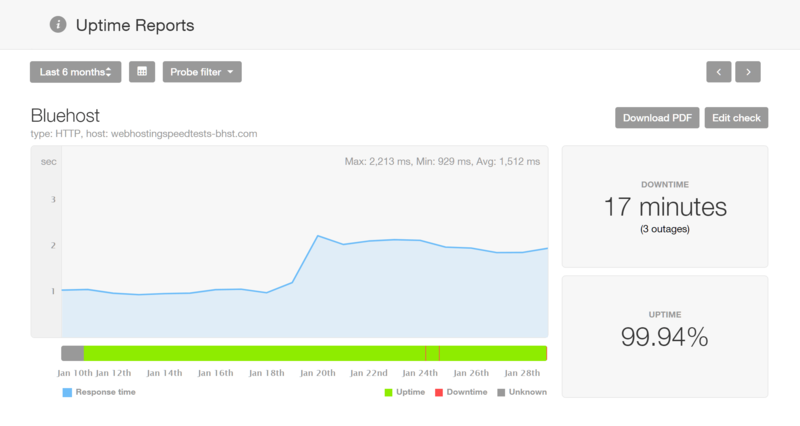 In our test, HostGator delivered the best uptime with 99.97%, and one outage, which lasted for eight minutes. In fact, as the uptime.is website demonstrates, over the course of a year, 99.9% uptime equals 8h 45m 57.0s of downtime, compared with 52m 35.7s for an uptime of 99.99%. So, if you can find a shared host offering 99.99% uptime, do add them to your shortlist. During testing, Pingdom reported 99.94% uptime and 17 minutes of downtime over three outages. With HostGator delivering better uptime than Bluehost, let’s see how these web hosts compare when it comes to loading times. There are many well-documented benefits of having a fast-loading website, including higher conversion rates, longer site visits, and better search engine rankings. Therefore, when choosing a web host, performance should be one of your main priorities. So, who’s the fastest web host: HostGator or Bluehost? To find out, we tested both services using a basic free WordPress theme, and a powerful multipurpose template. Screenshot from the Twenty Seventeen WordPress theme test page. First, we installed the basic free Twenty Seventeen WordPress theme on the test sites, and then created a blog post. Then, we set Pingdom to monitor the speed of that page over a seven-day period, with the times recorded at 30-minute intervals to determine the average loading times. When using a basic WordPress theme, HostGator performed better than Bluehost. Bluehost: 2.15 seconds (Twenty Seventeen theme). HostGator: 814 milliseconds (Twenty Seventeen theme). 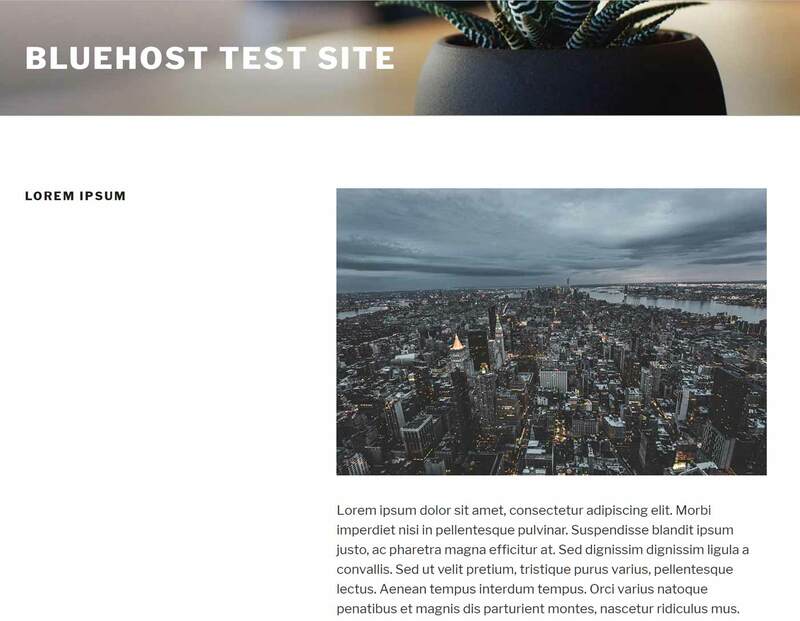 Considering the similar prices of these hosting packages, the results show a surprisingly large difference in performance when using a basic WordPress theme and testing with a simple blog post. On a website using the basic Twenty Seventeen WordPress theme, HostGator delivered the faster loading times. The average loading time recorded over seven days was much slower for the Bluehost website. If you’re creating anything other than a basic blog, you may want to consider using a multipurpose or feature-rich WordPress theme. 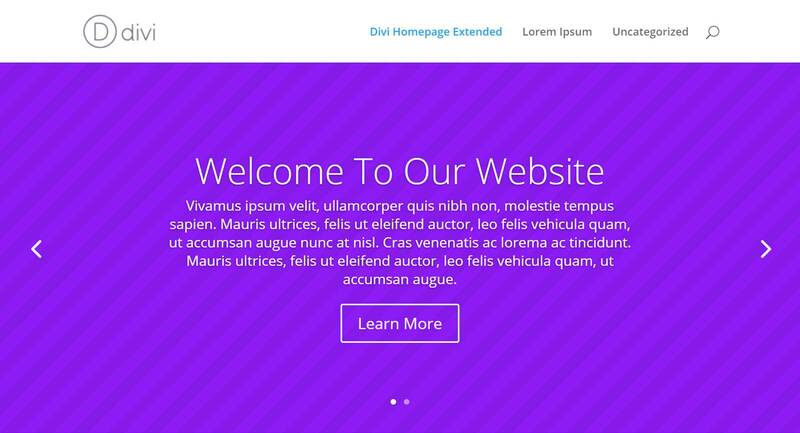 Divi, from Elegant Themes, is one of the most popular multipurpose WordPress themes available today, and, during our testing, we also recorded the loading times of a website using this theme. 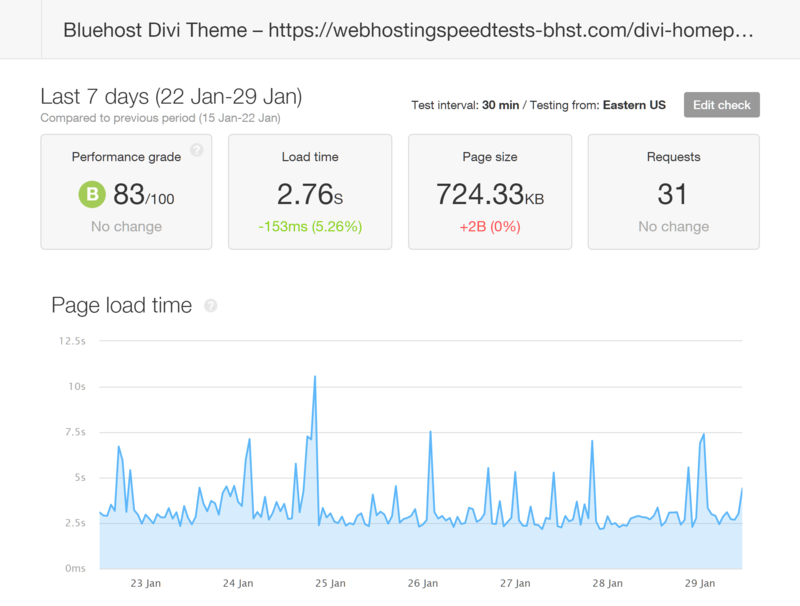 In the second set of page speed tests using a web page created with the Divi theme, HostGator outperformed Bluehost again. Bluehost: 2.76 seconds (Divi theme). 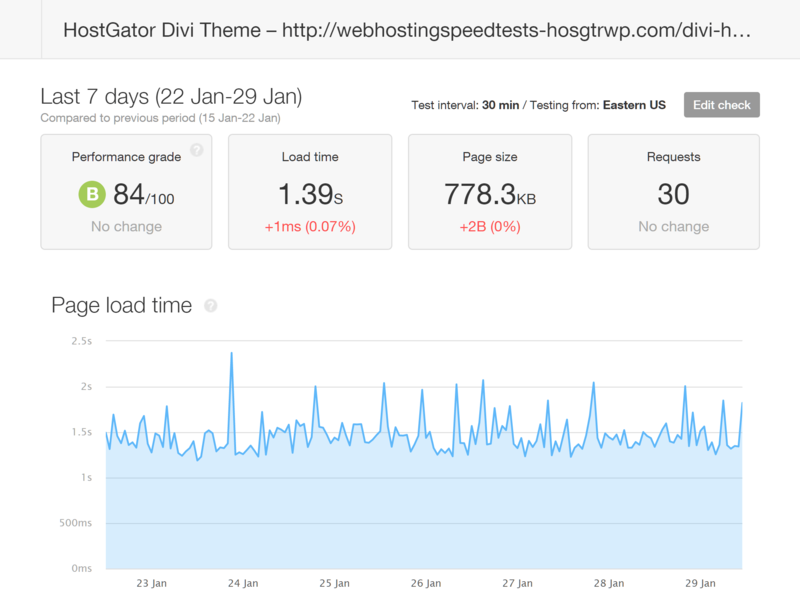 HostGator: 1.38 seconds (Divi theme). The web page used for testing was larger, and included more content and features from the Divi toolkit, which explains the slower speeds overall. Screenshot of the Divi theme test page. If you plan to use a multipurpose theme for your website, you should expect to see an impact on loading times compared with a basic blogging theme. However, you can still get good results by choosing a fast-loading web host. 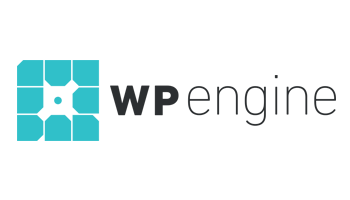 Based on results from our recent WP Engine vs SiteGround comparison, HostGator compares favorably with other high-performance shared hosts, such as SiteGround, but isn’t in the same class as the best managed WordPress hosting services, such as WP Engine. So, now we know how reliable these two web hosts are, and what type of loading times you can expect when using a basic WordPress theme — as well as a feature-rich multipurpose option. Next up, it’s time to find out how these two popular web hosts perform under pressure. In this section of our HostGator vs Bluehost comparison, we’re going to give you an idea of how your website may perform when it’s being accessed by multiple visitors at once. For these performance tests, we used the Load Impact service to simulate multiple visitors accessing the site at once. The load tests start with one virtual user visiting your site, and increase that number by one (see the blue line on the graphs) until the site stops responding. Loading times (the green lines on the graphs) are recorded at regular intervals while the number of virtual visitors to the test site increases. Thirty simultaneous active virtual users were about the limit for the Bluehost hosted WordPress website using Divi. As you can see from the above screenshot from the Load Impact test, by the time 30 virtual users were accessing the site hosted by Bluehost, the loading times had reached 5.48 seconds. After that, with each additional virtual user accessing the site, the loading times began increasing significantly (as shown by the green line). The website hosted by HostGator didn’t see an increase in loading times until the number of simultaneous virtual users reached 31. Compared with Bluehost, HostGator fared better in the load impact testing. It wasn’t until 40 virtual users were accessing the site simultaneously that the loading times became unacceptable, reaching 9.03 seconds. At 30 simultaneous virtual users, the loading times were still well under a second at 556.6 milliseconds. If you expect your website to have a large number of visitors, then these results show you should probably either use a lightweight WordPress theme or upgrade to a higher performance web host. However, if you’re just starting out and have yet to build an audience, while our HostGator test site could handle more visitors than Bluehost, both hosting options should be suitable. As well as knowing how each web host performs and what features you get access to, it’s also important to understand how easy a particular service is to use. In this section of our HostGator vs Bluehost comparison, we’ll explore the account management facilities and website control panels of each host. 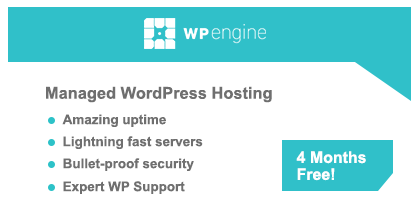 Both of these web hosts will install WordPress for you, so you’ll be ready to go as soon as you’ve signed up. Thanks to the new Bluehost customer account area, accessing the WordPress website management features available to you is very straightforward. 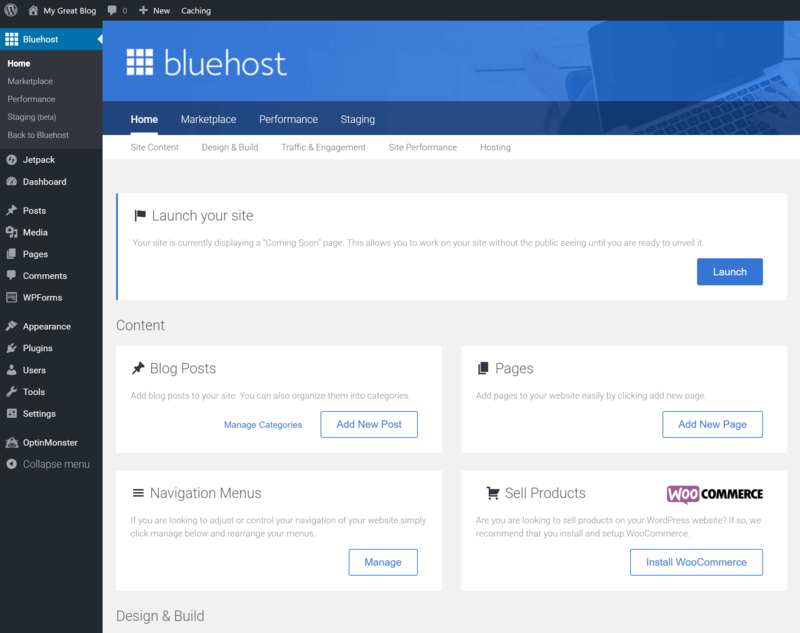 The Bluehost customer account area makes it easy to manage your WordPress website. Through the WordPress Tools section of the Bluehost control panel, it’s possible to update plugins and themes, enable automatic updates, and create and restore website backups. Changing PHP versions through the Bluehost website management dashboard is straightforward. It’s also possible to switch the PHP version that’s in use on your server space and manage security certificates for your domains, including upgrading from the free SSL certificate provided to Bluehost customers and enabling the free CDN services. If you’re hosting more than one website under your account, you can manage multiple sites from within the same dashboard area. Whether you opt for WordPress to be installed when signing up with Bluehost or install it yourself through the account management area, you get access to some useful extras to help you to launch your website. 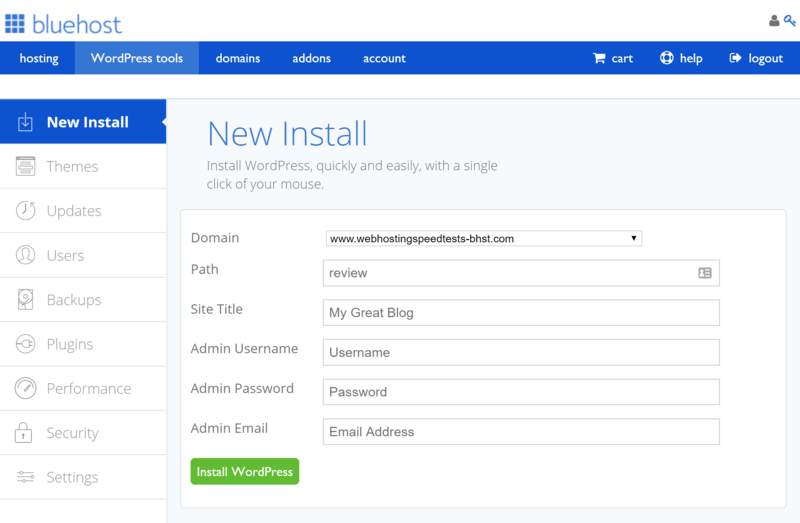 New WordPress installations can be created in just a few clicks with Bluehost. 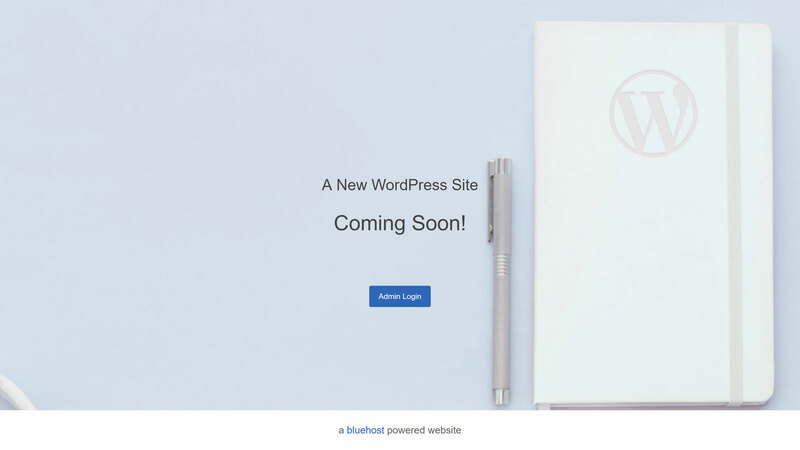 As well as making it very easy to install WordPress, Bluehost displays a coming soon page for your new site. Bluehost automatically displays a coming soon page for new WordPress installations. Not only that, but when you log in to your new WordPress website, Bluehost will guide you through the process of setting up your new site. The Bluehost WordPress installations include a website setup wizard to help you configure your new site. 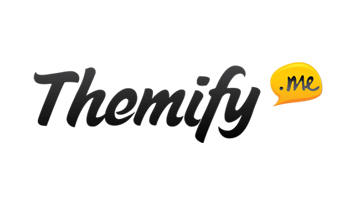 The setup process helps you to create a contact page, configure your blog, and connect to Jetpack to enable extra website features. You can also access some of the features of your account through the Bluehost area of your WordPress website dashboard. 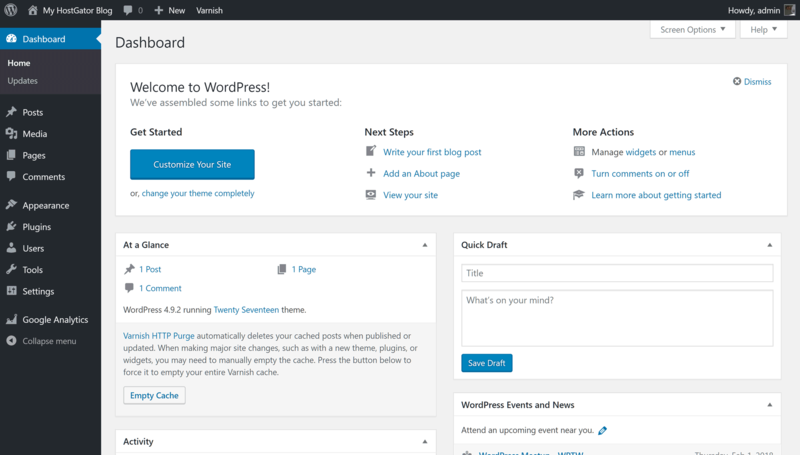 Bluehost adds an extra set of controls to your WordPress dashboard.  You can now browse and purchase premium WordPress themes and plugins from the MOJO marketplace without leaving your website dashboard. If you need even more control over and access to your website and its hosting environment, you can launch cPanel. Although Bluehost has applied its own skin to cPanel, you still get access to all of the usual tools through the control panel. cPanel access ensures you can use the file manager, phpMyAdmin, and more to manage your hosting account. 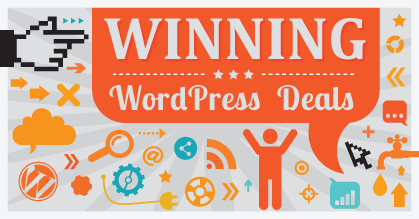 Bluehost has done a good job of simplifying the process of creating and managing a WordPress website. 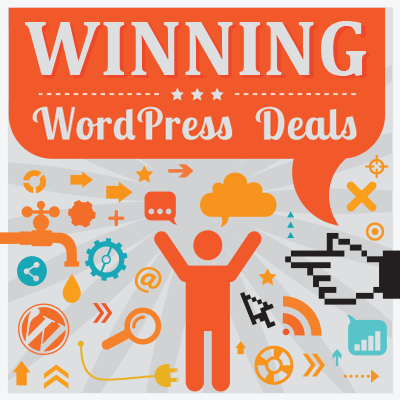 The useful set of controls added to your WordPress installation means you should be able to find all of the features and tools from your hosting account in one central location. To stay competitive with other affordable web hosts, such as Bluehost and GoDaddy, HostGator is in the process of updating its customer portal. However, the new version isn’t yet widely available, and, instead, most users will still manage their HostGator account through the standard customer area. The HostGator customer portal is expected to be updated soon. Through this area on the HostGator website, you can view your account details, contact support, and browse the documentation. Like Bluehost, HostGator WordPress websites include the MOJO Marketplace integration plugin, giving you an easy way to browse and purchase premium WordPress themes, plugins, and services. 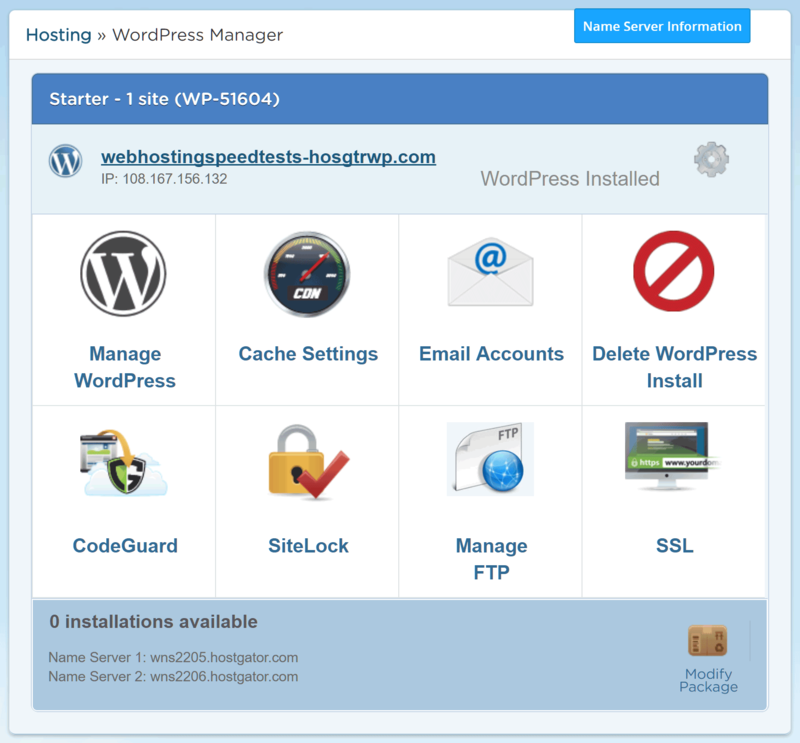 Unlike with Bluehost, there are no extra controls or dashboard area in the HostGator WordPress installations. A new HostGator WordPress installation also includes the free WP Super Cache, Google Analytics Dashboard for WP (GADWP), and the Varnish HTTP Purge plugins by default. The HostGator WalkMe plugin is installed with WordPress, but is not yet up and running. However, there’s not yet a walkthrough guide to help you set up your new website. New WordPress installations do include the HostGator WalkMe plugin, but, at the time of writing, it was not yet up and running. Unlike the standard Bluehost and HostGator shared hosting plans, the HostGator WordPress hosting package in this comparison doesn’t include cPanel access. Instead, basic website management tasks can be carried out through the WordPress Manager section of the HostGator Customer Portal. 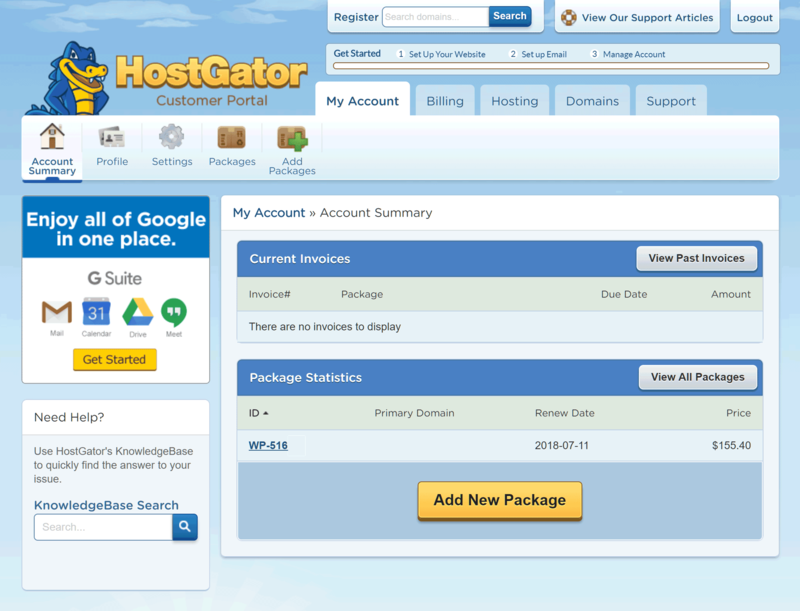 HostGator provides users on the WordPress hosting plans with a basic control panel. This definitely helps to keep things simple, but this reduced access does restrict what you can do with your account. For example, the lack of file manager or database access that’s provided through cPanel on a traditional shared hosting account may be a drawback for some users. The CodeGuard backup service can be accessed through the WordPress HostGator control panel. However, anyone who simply wants a WordPress website probably shouldn’t be too deterred by this. Also, with HostGator taking care of updates for the WordPress software, plugins, and themes, as well as website backups, there’s less to worry about with this hosting package. When deciding whether the Bluehost Shared Plus or the HostGator WordPress Starter plan is your best option, it comes down to a few factors. 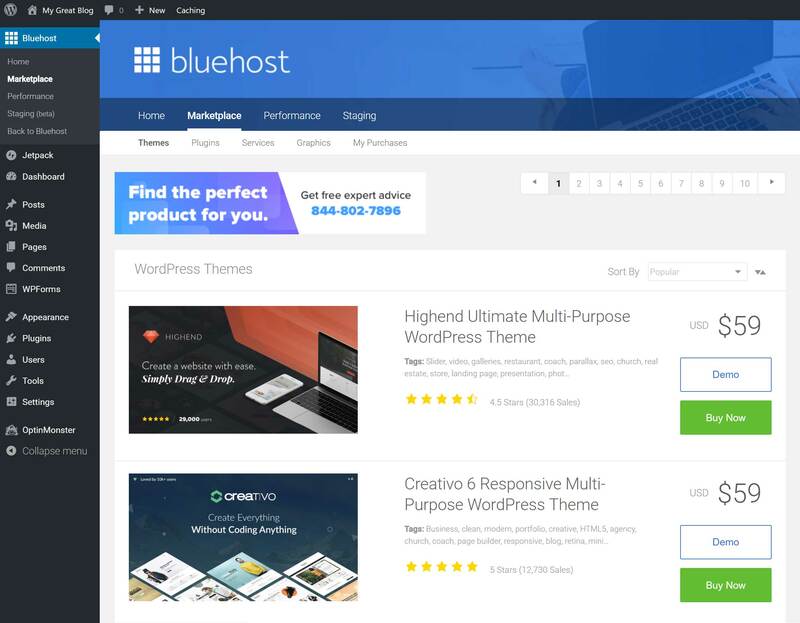 If you want lots of features and options, such as the ability to host multiple websites that may not all be WordPress sites, cPanel access, staging site support, a free SSL certificate, unlimited bandwidth and storage, a useful control panel, and a wizard to help you set up your WordPress website, then the Bluehost Shared Plus plan is a great option. 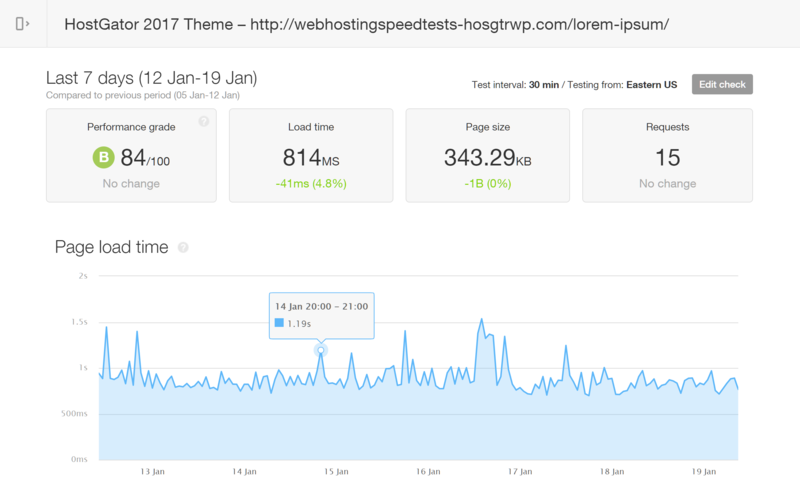 However, while you can only host one WordPress website and are lacking cPanel access, as well as a few other extras, as our performance tests showed, the HostGator WordPress Starter plan delivered faster loading times and coped better under pressure. With prices starting from $5.99 per month (with further discounts often available), both options provide fair value for money. Deciding which one is the right choice for your website comes down to whether you prefer the performance of HostGator or the features and options of Bluehost. Used/using either Bluehost of HostGator? Thoughts?